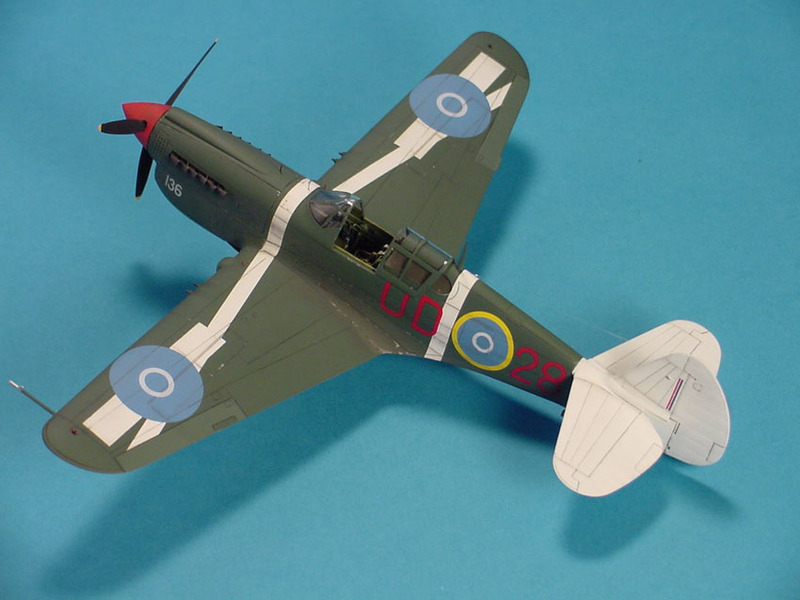 Combining the AMT/ERTL CURTISS P- 40N and P- 40K Warhawks to produce a P- 40N-1 Kittyhawk, of No. 4 Operational Training Unit, while stationed at Ohakea, New Zealand in late 1944 to early 1945. 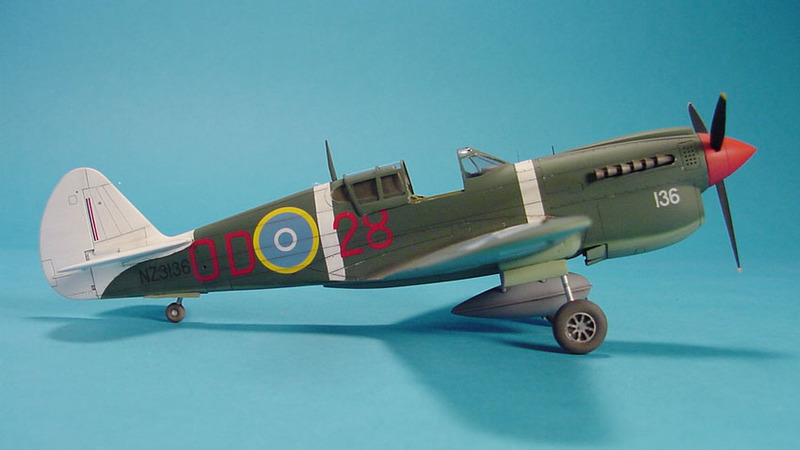 I suspect that most aircraft modellers are much the same, in that the choice of subjects we build is largely driven by the markings or paint scheme. 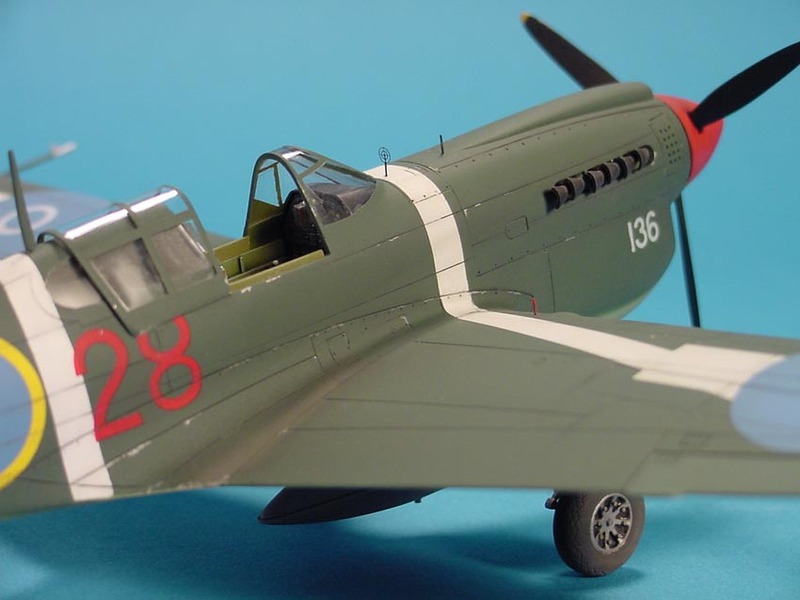 I can state with 100% honesty that I am scheme driven in my choices and when I first saw the markings for this P-40 offered on an older Ventura decal sheet number 4864, it became a subject that I really wanted to build. It was only after I started to look deeper into the subject that I realized it would not be quite as straight forward as first thought. You see, this variant of the P-40 is a P-40N-1, which was the light-weight member of the P-40N family. There are small and subtle differences between the N-1 and later N variants, which I was not aware of until I started digging through my references. 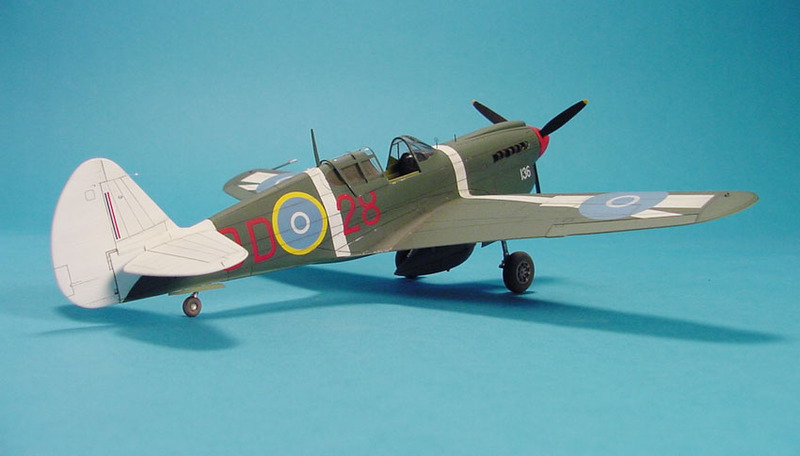 As I go through this build article, I will highlight the differences on the slim chance that you may elect to add a P-40N-1 to your display case. I started this model back in 1997, shortly after I had purchased both the AMT/ERTL P-40N and the AMT/ERTL P-40K, as well as the Ventura decals. The fact that it took me 10 years to finish the model is a testimonial to my lack of focus, glacial building pace and constantly shifting interests. If memory serves me well, the only aftermarket accessory then available for the P-40N model was the Eduard photo-etch set 48-222. For those not familiar with this etch set, it features 82 parts on one fret of brass, along with the usual photo-negative instrument dial faces. 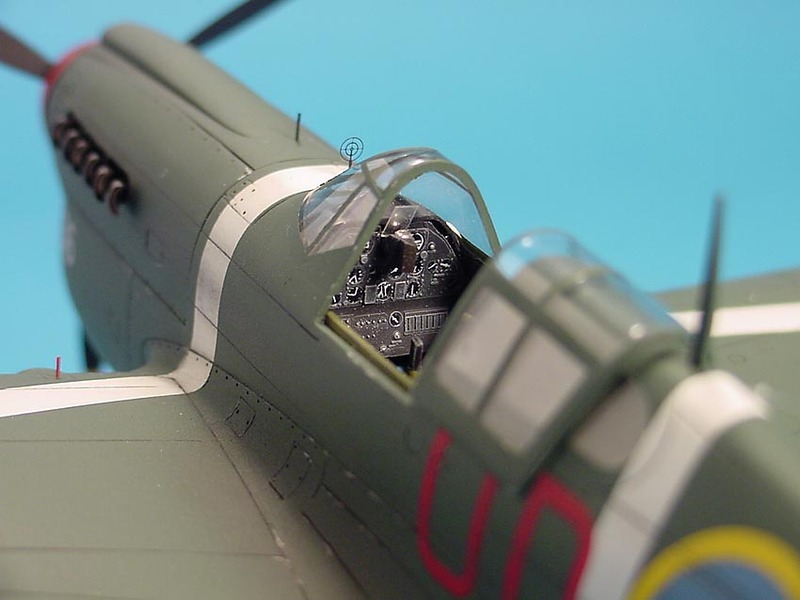 A nice addition to this set is the choice of 3 different instrument panels, so depending on the production block, modellers can choose between the P-40N-1,5,10,15,20,25,30,35, and 40. The remainder of the fret covers the cockpit area, primarily the seat and seat belts, map case, trim wheels, throttle quadrant, canopy hand crank and rudder pedals. Screening is provided for the radiator intakes by way of three pieces for each intake. Two choices of cowl flaps are provided, one set open and the other closed (neither of which fit the kit to my satisfaction). Landing gear details consist of tow rings, wheel well tops and sides and new landing gear doors all around. 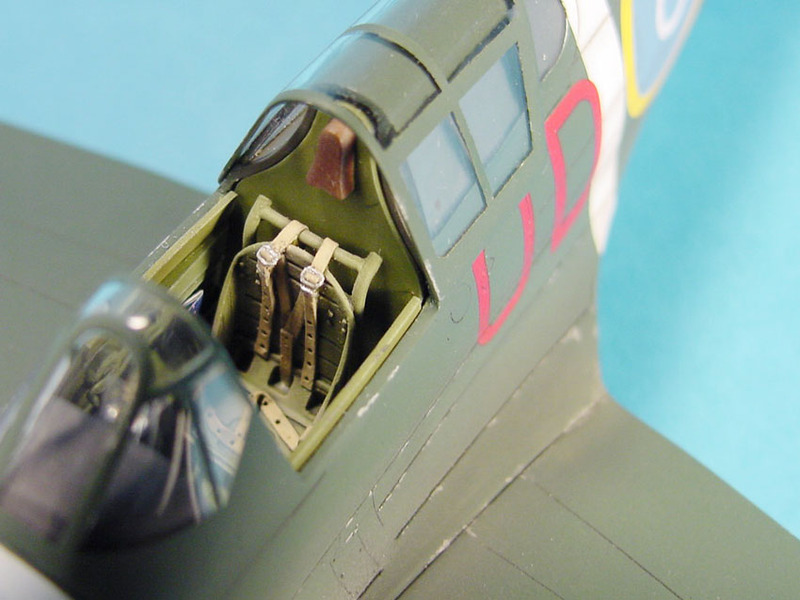 Final details include the drop tank hardware, bead gun sight and underwing bomb racks. You may be asking what does the P-40K have to do with building a P-40N-1 and the answer is quite simple. The P-40N-1 features the long fuselage of the later P-40N's, but has a cockpit configuration of the earlier P-40K and M, as it does not have the cutdown fuselage behind the cockpit. In addition, the pilot's greenhouse is a combination of components from the P-40K and later P-40N's. So, you need to utilize parts from both kits to end up with the N-1 variant. The wings can then be assembled as usual and if so desired, the wheel wells can be enhanced by way of the Eduard etch. AMT/ERTL moulded the wheel wells with only 3 sidewalls in each, with the inboard side absent. To eliminate this see-through look I fabricated sidewalls from sheet styrene. When you go to mate the assembled wings with the fuselage, you will find that the wing is too flat and lacking dihedral, thereby precluding the wing from meeting the fuselage at the wing root.. By cutting a "V" shaped notch in the front of the lower wing, part B3, you can gain enough flexibility to pull up the wings so they will meet at the wing root. Once you resolve that problem, turn the model over and look at the gaps on the bottom at the trailing edge of the wing. I used strips of styrene to fill these gaps and then smoothed them over with Tamiya putty. After, all the lost panel line detail was rescribed. Truth be told, I had not experienced such poor fit since my days of building the old Revell 1/32 aircraft back in the 80's. Depending on your references, this particular aircraft was either painted Olive Drab over Neutral Gray (Ventura decals), or Foliage Green over Grey Green (RNZAF, The First Decade by Charles Darby). 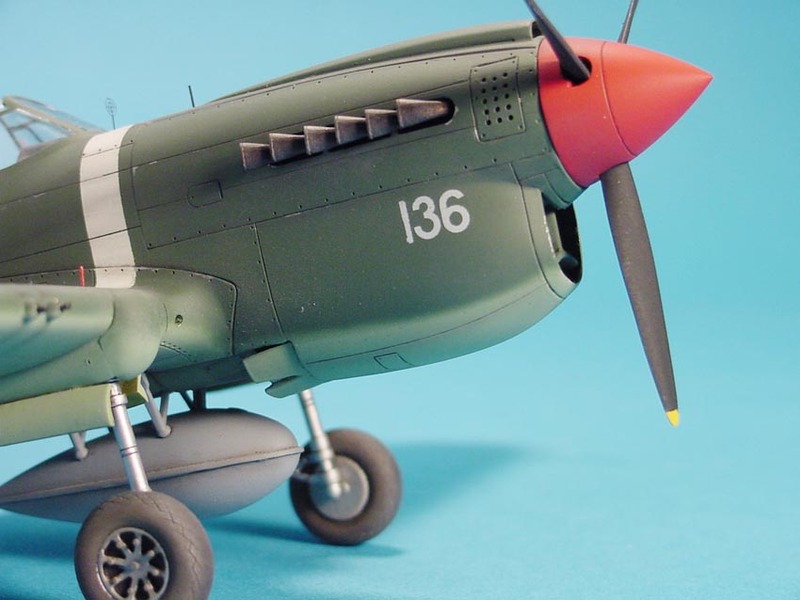 I opted for the Foliage Green paint scheme, for no other reason than it seemed to follow suit with other P-40’s that had been relegated to the training squadrons. 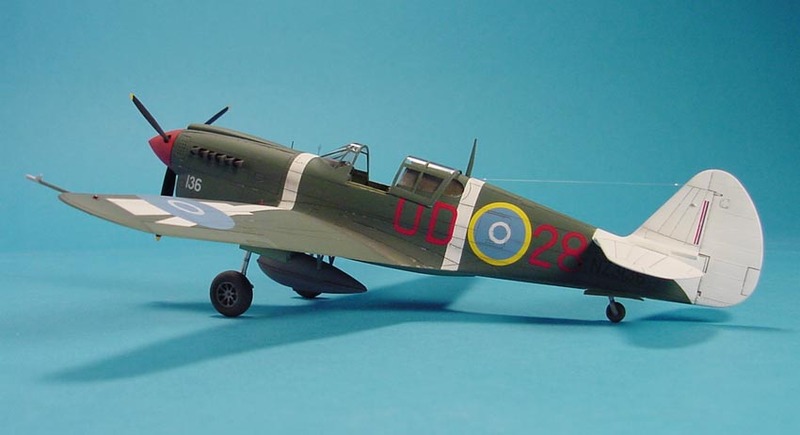 Irrespective of which colours you choose, the very first step in applying the camo, is to paint the area behind the quarter windows with Olive Drab, which was the colour in which the P-40 was originally delivered when brought on charge on July 8, 1943 at Hobsonville, New Zealand. Once that is done, the canopy can be glued in place. On the topic of the windows, I used the windscreen from the P-40N, along with the sliding canopy and rear quarter windows from the P-40K. Actually, the sliding canopy is moulded too thick to sit correctly on the rear decking and was used as a master to vacuform a thinner replacement. With the entire airframe assembled, painting is the next step, with white being the first colour applied. The entire rear empennage along with areas where the white bands and national insignia are located were airbrushed with Testors gloss Classic White and then masked off. I prefer this white to Insignia White as I feel the Insignia White has a bit of a yellow cast once dry. I also painted the entire area of the wing national insignia, as past experience with Ventura decals has shown that they are extremely thin and as a result are a little translucent, which would have created opacity problems where the national insignia overlaps the white wing bands. The Foliage Green and Grey Green were next to go on. Foliage Green is an Australian/New Zealand equivalent of U.S. Medium Green FS 34092, but is not identical in shade, with an FS approximation between 34092 and 34096, while the underside Grey Green is very close to FS 34128. My preferred brand of paint, specifically Xtracolor does not offer paints mixed to the Australian and New Zealand specifications, but I did find very good matches, with X391 French WWII Vert Foncé falling in the needed Foliage Green FS range and X620 MiG 29 Light Green being an almost exact match to FS 34128. I also airbrushed the fabric covered ailerons with lightened X391 to simulate the different paint fade, common between metal and fabric areas. Decals were next and the very first decal I applied was one of yellow fuselage roundel rings, however it refused to settle onto the gloss finish, even though I tried Solvaset, Gunze Mr. Mark Softer and the Micro Scale system. As I thought it might be an anomaly, I tried one of the red codes and one of the blue wing roundels and both of them refused to settle onto the model surface. This was perplexing as I had used Ventura decals in the past with no problems of any kind. So I was at a crossroads, as the model was modified and painted up to represent an N-1. To the best of my knowledge there are no other N-1 decal options offered by the aftermarket companies and I did not wish to strip the model and repaint as the generic N-1 shown on pages 64 and 65 in the Detail and Scale. Considering the time and money which I had invested in this model, I thought a few more dollars should be thrown at the model and I contacted a custom decal company to produce a set of markings using the ALPS printing system. One drawback with the ALPS system is that it cannot cleanly print some colours such as light blue and yellow as they will be pixilated. This meant that I would need to now paint the blue areas of the national insignia and either paint the yellow ring to the fuselage roundel or find another decal. For the blue, I used Xtracolor X164 BAC5070 Presidential Flight Dark Blue and an IPMS Canada decal sheet on 442 squadron Mustangs provided the yellow rings. Finally things were looking up. I mixed up an oil paint wash of dark grey for the upper surface and medium grey for the underside. The AMT/ERTL P-40's have well defined panel lines that accept the wash well and make the application trouble free as long as you don't apply your camouflage colours too thick. Using a 000 brush I applied some silver paint chipping in the usual areas of wear. A few coats of Testors Dullcoat to result in a flat finish and provide some tooth for the chalk pastels followed all this. One of the other distinguishing features of the P-40N-1 was the introduction of the smaller (27" diameter) lightweight magnesium wheels, but AMT/ERTL does not provide this type of wheel in their line of P-40's. Luckily the Eduard (ex Mauve) P-40N has an extra set which worked quite well after filling the axle mounting hole with styrene rod and then drilling it out to match the size of the AMT/ERTL axle stub. As luck would have it, shortly after I completed the undercarriage on my P-40, Ultracast released a nice set of resin lightweight wheels. Maybe I do build too fast afterall. It was time for the final details such as the landing gear position indicator rods made from piano wire and painted red, wing gun barrels made from pieces of hypodermic needles and a Waldron photo-etched ring sight. An important thing to remember when installing the bead and ring sights is to have then slightly off-centre to the right and not on the fuselage centreline as AMT/ERTL would have you do. The landing light was replaced with a suitably sized MV Products model railroad lens, which was glued in place with a drop of Kristal Kleer. Another minor but important addition is the installation of some canopy rails along the cockpit sills. Using some strip styrene, I made two rails that dropped into place and did much to improve the cockpit opening. This simple step took all of 5 minutes. 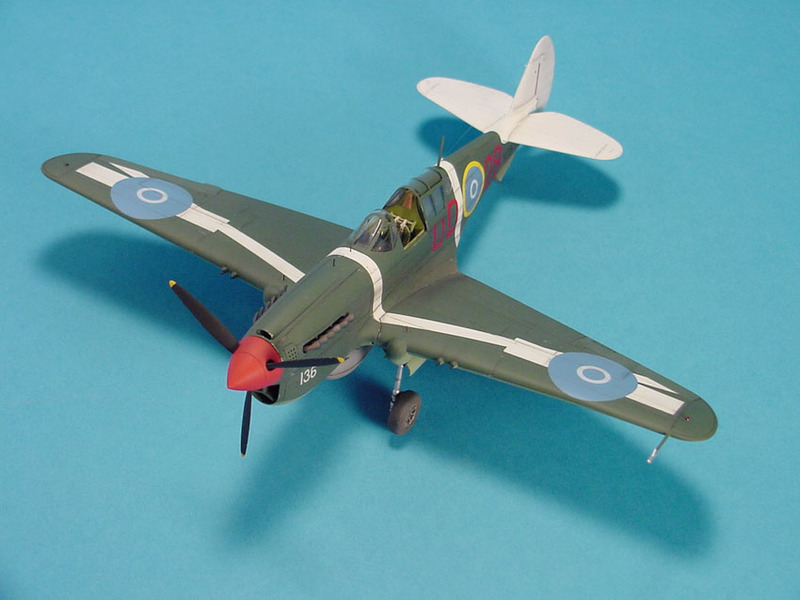 After this, the model was weathered with various shades of green, grey, black and brown chalk pastels, while ground up pencil lead was rubbed into the paint along the wing roots and along the leading edges of the propellor blades. A stretched sprue antenna wire was added and the navigation lights were painted crimson red and a very dark blue green. I am of the opinion that these lights should look closer to black with a red and green tinting, rather than the garish reds and greens a lot of modellers prefer. I guess navigation lights along with the way other modellers treat clear parts are two of my biggest peeves when I am looking at models on the competition table. 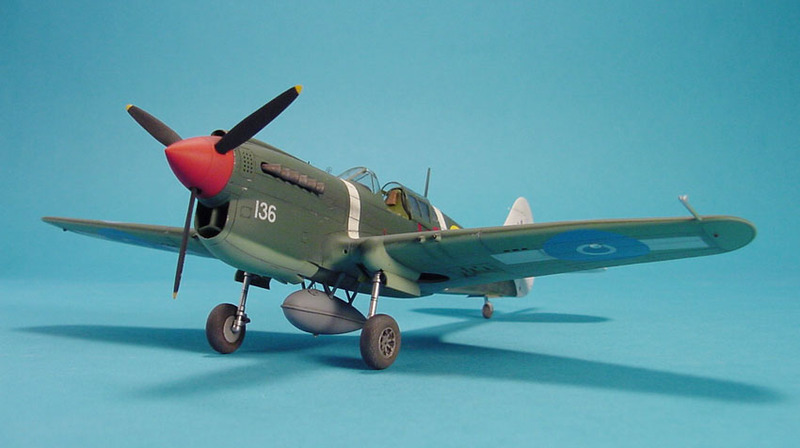 This completed my P-40N-1 and while I am sure there are numerous other small details I could have added, but after 10 years, I had had enough and just wanted the model finished. I have encountered troublesome builds in the past, but this model was more troublesome than most and fought me at every step of the way. However, it was not great modelling ability that helped me overcome twisted wings, flat dihedral, mould shift, inconsistent details, generally bad fit and poor decals. Au contraire. It was my stubbornness and inherent cheapness. Does it rank as one of my better models? Not at all, but I like it just the same. I compare it to the mother that has an ugly child. She knows that the child will never win a beauty contest, but she loves it just the same. Or to put it into another context…no matter how much you polish a turd, it will always be a turd. I can't tell you too much about the operational history of the actual aircraft. What I do know is that NZ3136 was delivered to New Zealand on board the ship 'James Hogg' and brought on charge on July 8, 1943 at Hobsonville, New Zealand and ultimately disposed of on March 2, 1948. At one point in its operational career it was assigned to No. 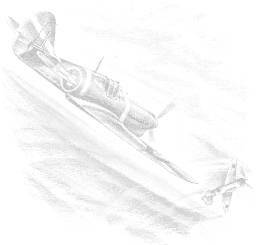 17 Squadron in the Solomons and was credited with some of Squadron Leader Guy Newton's 5 victories. After this, the aircraft was transferred to No. 4 Operational Training Unit based at Ohakea, at which time it received its white ID bands.